In the past, the occurrence of a disabled pedestrian accident was not easily ascertained. Police reports usually referred to them as pedestrian accidents. However, one new study from Georgetown University revealed that wheelchair users are much more likely to be killed than other pedestrians. In addition, the study showed that drivers who strike a person in a wheelchair do not try to maneuver away from the person 75 percent of the time. Faulty road design can be the reason this happens. The fear of a disabled pedestrian accident keeps many pedestrians from interacting with their community. Overall, the fatality rate for wheelchair users is between 33 and 36 percent higher. Men 50 to 64 who use a wheelchair are 75 percent more likely to be killed. Male wheelchair users are killed in road accidents five times more than women. 21 percent of the drivers fail to yield the right-of-way to a disabled pedestrian. 50 percent of accidents happen in intersection crosswalks. 40 percent of those happen in crosswalks without a countdown or pedestrian signals. There are ways to avoid an accident when traveling in a wheelchair. Knowing the route you are taking ahead of time is a good idea. This enables the pedestrian to know where crosswalks are located, helping them to plan out a safe route. The biggest problem disabled pedestrians face is that motorists don’t always see them. In order to overcome this, many wheelchair users are affixing flags to their chairs. Some motorized wheelchair users complain that there are no sidewalks also, forcing them to travel in the street. 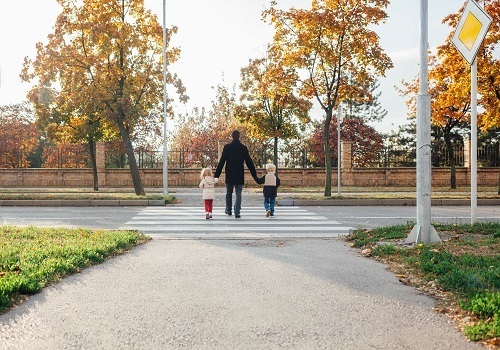 If a disabled pedestrian is injured in a traffic accident, an attorney can investigate to see who was at fault for the crash. While pedestrians have rules just as motorists do, it is a driver’s responsibility to be aware of walkers or wheelchair users in their path. If a motorist fails to take that obligation seriously and causes injury to a pedestrian, the attorney can file a claim against the driver. I’m Ed Smith, a Sacramento pedestrian accident lawyer. Vulnerable pedestrians can suffer serious injuries when they have been struck by a negligent driver. If this happened to you or to someone you care about, I have free and friendly advice to offer. Please call me at (916) 921-6400 locally, or you can reach me at (800) 404-5400 if you are elsewhere in Northern California. In addition, I can be contacted through my online contact form at AutoAccident.com. For 37 years, I’ve worked as an injury lawyer defending the rights of Sacramento citizens and other Northern Californians in areas such as wrongful death, all kinds of motor vehicle accidents, and traumas such as brain injuries. I’m a member of the National Association of Distinguished Counsel, which invites a small percentage of lawyers to join because they uphold the highest standards in the profession. In addition, I belong to the Million Dollar Forum, which was established to recognize trial attorneys who have obtained in excess of $1 million for a former client.